Maine botanist Gil Hodges, aka Hodge, is plagued by personal demons he can no longer keep at bay: a string of sordid, failed relationships, outrageous wrongs never put right, and a gut-wrenching trade-off made years ago with a stone-cold killer who slips in and out of his life at will—taunting him, haunting his dreams. And back with a vengeance now, it seems. Question is why. When a chance encounter offers the promise of new love, Hodge tempts fate by taking on his murderous foe. Desperate to cut this grisly tie once and for all, he risks everything by going back to where it all started—back to Matinicus. 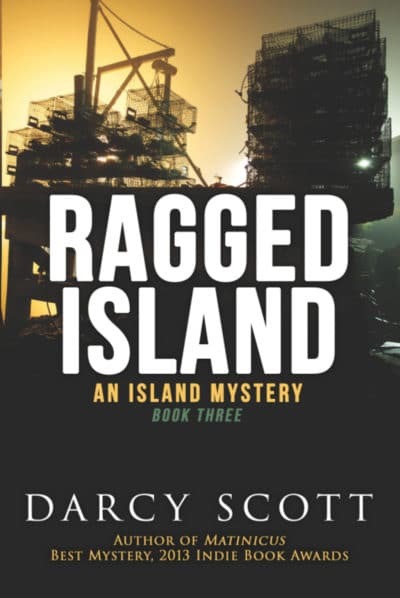 Award-winning author Darcy Scott (Best Mystery, 2013 Indie Book Awards; Silver Award, 2013 Readers Favorite Book Awards; Bronze Award, 2013 IPPY Awards) is a live-aboard sailor and experienced ocean cruiser who’s sailed to Grenada and back on a whim, island-hopped through the Caribbean, and been struck by lightning in the middle of the Gulf Stream. For all her wandering, her summer home and favorite cruising grounds remain along the coast of Maine, where she’s been plying the waters for more than two decades—the history and rugged beauty of its sparsely populated out-islands serving as inspiration for much of her fiction, including 2015’s acclaimed Margel’s Madness and her popular Island Mystery Series (Matinicus, Reese’s Leap, and Ragged Island). Connect with her online at www.DarcyScott.net.